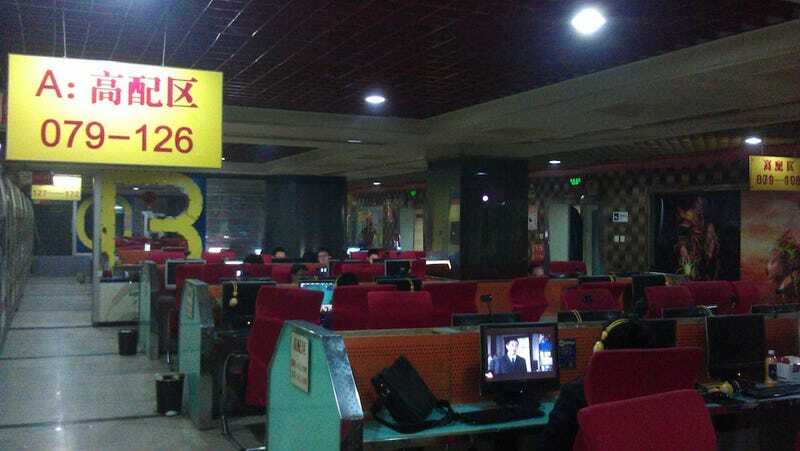 China's Internet Cafes Are Disappearing. What's Going On?! China, the middle kingdom. The Orient. The place where the legality of game consoles are suspect has always been the home of internet cafes. The number of internet cafes, which served as dens to many of China's netizens, has suddenly gone down over the course of 2011-2012—by as many as 10,000. Now, you may be saying, Eric, 10,000 anything in China is like a grain of rice in a rice cooker. China's huge, there's no doubt about that. However, according to research done by Tencent, one of China's largest internet companies and video game providers, the total number of licensed internet cafes that cater to all of China's net cafe users in 2011 was about 146,000. That number shrunk down to 136,000 or so in 2012, and according to Tencent's research, this number could dwindle even more when the 2013 numbers come out. Posted in a nifty infographic, Tencent depicts the history of internet cafes in China and expands on possible reasons for the decline in cafes. Tencent posits that net cafes in China are dwindling due to four major factors. The advancement of smartphone technology: Smartphones and mobile internet are getting better, and they are able to satisfy basic users who go online to watch videos, read, blog, or shop. It is becoming cheaper to own your own computer and have broadband internet access in China's first and second tier cities. Safety issues at internet cafes have deterred some users. The overhead in running an internet cafe has grown substantially: Rent is becoming pricier, and the price for a good employee has also gone up. On top of the decline in physical net cafes, Tencent also reports that there is a drastic drop in net cafe users, which would obviously mean a decline in the cafes themselves.